An English team will definitely be involved in the Champions League’s semi-finals, as Premier League champions-elect Manchester City face-off against five-time winners Liverpool. The Italian teams have an uphill task to progress further with Spanish giants Real Madrid and Barcelona standing in Juventus’ and Roma’s path, whilst Sevilla are rewarded for knocking out Manchester United with a tie against Germany’s Bayern Munich. Sevilla v Bayern Munich – Vincenzo Montella’s team upset the odds to claim a historic 2-1 victory away to Manchester United, thanks to super sub Wissam Ben Yedder’s brace. Jose Mourinho’s team approached the fixture in a tentative manner, but Bayern Munich’s recent ‘heritage’ and the form of star striker Robert Lewandowski suggests that the Sevillistas are in for a much tougher test to reach their first Champions League semi-final. 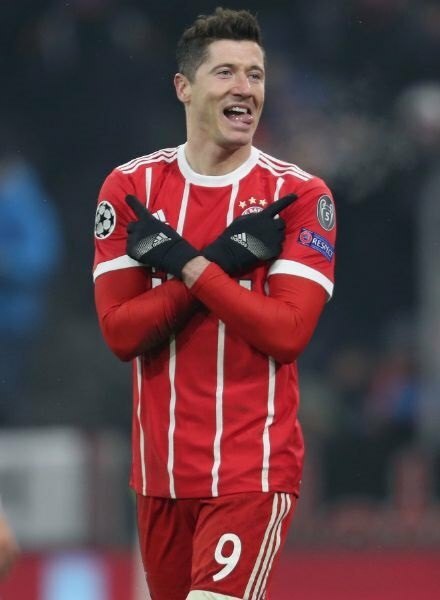 At the weekend, the Polish number nine scored a hat-trick in Bayern’s 6-0 demolition of third place team Borussia Dortmund, taking his league tally to 26 goals in as many games and a total of 35 goals in 38 games across all competitions. Juventus v Real Madrid – The Bianconeri had trailed Napoli for much of the Serie A season, but now find themselves four points clear with eight games to go. Domestically, Juventus are on course for their seventh straight Scudetto and a record 34th. In Europe’s premier competition, it is a different story for the Old Lady, who have lost seven of the nine finals they have reached. The current holders, Los Blancos, have no such problems in the Champions League, winning the prestigious trophy a record 12 times, including three of the past four. The last being an emphatic 4-1 victory against Juventus in Cardiff last summer. After a slow start to the season, Real Madrid have been boosted by Cristiano Ronaldo’s recent scintillating form, which has seen him score 21 goals in his last 11 games. Liverpool v Manchester City – Pep Guardiola’s men have been defeated once in the Premier League in this campaign: the 4-3 thriller away to Liverpool. Manchester City have raised the bar in England with an extraordinary season, but their measurement of greatness will be determined by performances in Europe’s premier competition. Having won six of his 12 head-to-head contests, Liverpool’s Jürgen Klopp is one of the few tacticians that Guardiola has had trouble with. City (88) and Liverpool (75) have scored the most goals in England’s top flight, with Mohamed Salah just two goals shy of the Premier League record (31), set by Alan Shearer (95-96), Cristiano Ronaldo (07-08), and Luis Suárez (13-14). 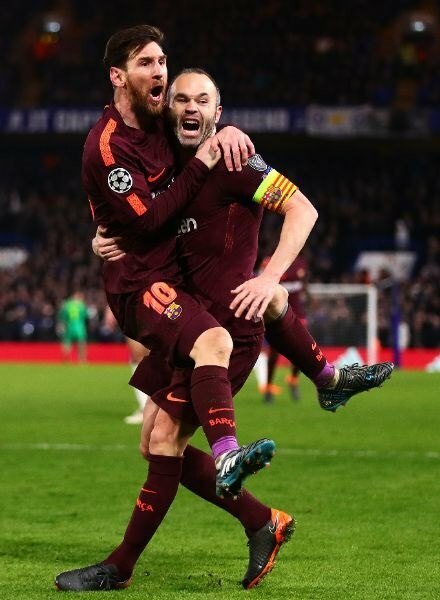 Roma v Barcelona – Edin Džeko’s decisive goal to eliminate Shakhtar Donetsk earned the Giallorossi the unenviable task of a matchup against Lionel Messi’s Barcelona. The Catalan giants eased past a courageous effort from Antonio Conte’s Chelsea side, and the Argentine’s footprints were all over it. Roma can boast a midfield of Daniele De Rossi, Radja Nainggolan and Kevin Strootman, which is a problem for any team when they play at their best. However, their inconsistency has cost them throughout the season, and they find themselves 18 points off the pace in Serie A. The Blaugrana have no such problems in La Liga, where they remain unbeaten, sitting nine points clear of second place side Atlético Madrid.